LOL this was hilarious, and actually surprisingly fun. Unfortunately it's not a deep fighting game or anything, so I was done with it after a couple of rounds. But still, deserving of high marks. Thanks! 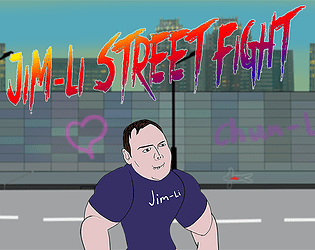 I was going to make it more of a deeper fighting game. But as the time runs out you have to cut things out just to finish . And this is what you end with.. :D Would have needed at least another day to make it more responsive to input and better AI. Well At least I had a WTF moment. Funny... at least in a way... WTF - Yup.